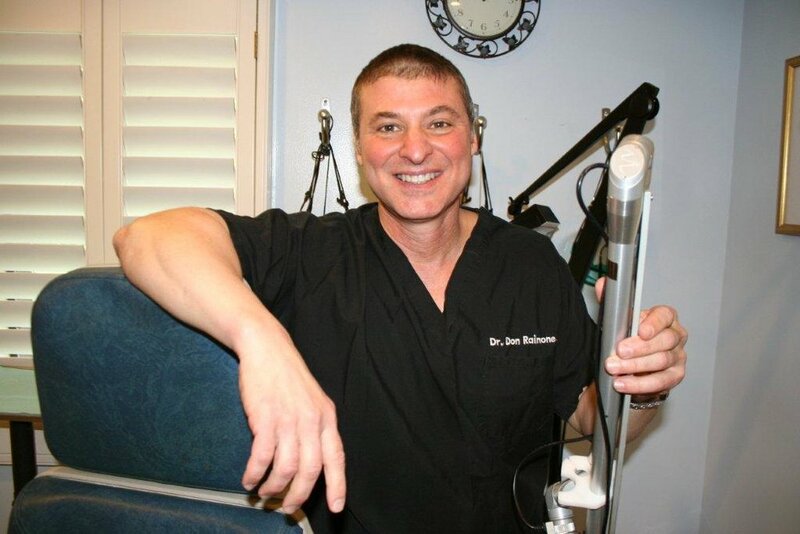 The business of cosmetic medicine has its ups and downs according to Dr Rainone. Name: Donald P. Rainone, M.D. Tell us a little bit about your clinic. The clinic is co-owned by me and an RN. I provide leadership and direction, and perform all laser and injection procedures. The RN oversees HR, risk management, and customer service issues, and maintains vendor relations. The esthetics manager directs the esthetician team, and performs quality control over esthetics procedures and equipment. I offer medical injectables, laser tattoo removal, laser rejuvenation, microdermabrasion, chemical peels, IPL hair removal, and IPL brown spots and facial vessels. I pared down my services, especially when the recession hit from 2008 – 2011, omitting massage, laser leg veins, lipodissolve, and liposuction. Focusing on fewer services has heightened my expertise level and made me busier. My patient population covers all ages, both sexes, and a broad socioeconomic distribution. Tattoo removal brings in more lower income, young males, while medical injectables bring in higher income, older females. I am located about 50 minutes north of Boston, MA, 15 minutes over the New Hampshire border. I have only about 1,000 SF and every inch gets used to the max: 4 treatment rooms total. One thing I stay on top of is how much revenue per square foot, per hour, is generated by the rooms. This helps me when deciding what to expand or cut. Can you give us some insight into how you hire, manage, and motivate your staff? Hiring is a challenging event and we apply some rigor to avoid getting the wrong person. We usually post on Craig’s List and weed out the obvious poor fits prior to an interview. We then do several return interviews with the RN and Esthetics Manager. We have esthetician candidates do a sample facial on the esthetics manager to test how caring they are in the touch/handling aspect of a client. I have found that anyone can be trained, but you cannot teach “nice.” Kindness goes a long way in this field. Yes, I have lots of horror stories. We address problems in real-time, document the discussion in the employee’s record, and promptly terminate any gross violations. One employee was not completing her tasks because she was spending the day logged onto dating sites. She did not even bother to erase the browser history. Unfortunately, I suffered a great financial loss by an employee who turned out to be a professional white collar criminal, embezzling the total cash equivalent of one quarter’s gross revenues. I was able to recover 20% of that through legal action. I now run a criminal background check on every potential new hire. I also tightened the password access to transactions in the point-of-sale software, hindering the ability for employees to hide evidence of cash skimming. As a final precaution, I now make all my own bank runs for cash deposits. What are your thoughts about the technologies you’re using now? I have two Palomar Starlux IPL devices operated by estheticians performing IPL hair removal, and Photofacials for facial capillaries, rosacea, and sun-damage brown spots. These have been reliable and effective, and the service is outstanding. I operate a Cynosure Revlite for laser tattoo removal and laser facial rejuvenation. This laser is the gold standard for tattoos and I am one of the lead providers of this service in New England. Over nearly 12 years, I have done almost 6,000 laser tattoo removal procedures. I am a luminary and speaker for Cynosure on this topic. I believe this is currently the most rapidly growing segment of the cosmetic industry. Laser companies are undergoing massive consolidation and mergers due, in part, to the 2.7% equipment tax under Obamacare. I encourage purchases to be made from large companies who are positioned as the acquirees so that you know who you will be dealing with a year from now. Is there any technology that you're looking to purchase in the future? I think the Cynosure Picosure is a dream come true for the future of laser tattoo removal. The first offer out to market price is a bit high for me given what I would have to charge clients in my market area. I look for effective outcomes with very low down time and very high client satisfaction. There are far too many mediocre products and copycats out there. How successful are you marketing strategies? I have ceased all traditional cold call type advertising like TV, yellow pages, and print. I intensely focus on internal marketing only. My goal is to develop a deeply loyal client base that acts as ambassadors to the practice, bringing me new clients through word of mouth. I do not incent client referrals as some practices do, as this is a violation of the AMA Code of Ethics. Internal marketing includes personalized brochures, e-blasts, postcard specials, birthday cards, etc. I also keep a frequently updated website with a robust portfolio of before-and-afters, a blog, and a Youtube video account. This approach has been highly successful and brings a steady stream of new clients and a very low attrition rate. What is the most difficult challenge you've had to overcome? The most difficult challenge I am facing right now as a business is the fear among clients of a lackluster economy and an uncertain employment environment. I am addressing this through a continuous offering of specials. This helps folks overcome the guilt of spending money on what they otherwise feel to be luxury. How do you manage cash flow in a business that can fluctuate seasonally and with the state of the economy? I divide my practice into major divisions with separate bank accounts for servicing the costs of each division. I take my average annual costs and break them into weekly escrow transfers into these divisional accounts. This smoothes out my expense variations and the money is always there in each of these accounts to pay the bills when they come along even in low revenue weeks. As a physician, what’s your biggest regret and what did you learn from it? The worst decision I ever made was to take on too many lasers in too short a time frame early in my practice. We can be too easily seduced by the next best thing or the latest and greatest. Some technologies turned out to be duds or rapidly became obsolete, yet lease and service contract payments continue to come due. Now I take more of a wait-and-see approach and do not jump on any new technology until there has been some time out on the market. There is considerable risk to sticking your neck out as a pioneer on this kind of costly infrastructure. Do not over-diversify by trying to offer an endless menu of cosmetic services. Find your niche and put all your focus on doing those 1 -3 things really well. Your clients will respect you more and you will be giving them your very best. About: Dr. Donald P Rainone is board-certified in Internal Medicine since 1991 and licensed to practice for 25 years. He comes from a diverse background that led up to his current practice, including private practice IM, urgent care, occupational medicine, administrative medicine, and an internet startup company. He has been an artist all his life and have always had an interest in cosmetic care. On 9/11, he had an epiphany that life is too short, and he was on the phone by noon with a laser salesman ordering his first laser. He jumped into entrepreneurship purchasing a small office building and opening a fully committed cosmetic private practice.